Working hard in the clinic. From one of Worldwide Witness Interns’, Lydia Brown, Facebook page. My kids see drunk people all the time. You cannot walk through town without having to skirt by a man who has been drinking and is acting unpredictably. My kids are scared of drunk people, and they are correct to be wary. They are unpredictable; I have been verbally accosted by drunks and even had them try to physically intimidate me more than once. My kids while riding their bikes through town have been yelled at by the the men who turn aggressive when consuming alcohol. I think that in many ways this nervousness that the kids live with when in town alone on their bikes is a blessing, because none of my kids have much interest in drinking. They see how harmful it can be. So many times alcoholism is hidden in the US, but here it is open for all to see. Our eyes are open to the temptation and the addiction. Here is an interesting post from the Diospi Suyana Hospital webpage. Nine years ago the work of Diospi Suyana began among the children of Curahuasi. Currently, 400 boys and girls attend the kids club each week. They learn not only to handle scissors and crayons, but also that God is real and loves each one of them. They learn that problems can be overcome through faith in God and the indulgence into alcohol is unnecessary and counterproductive. 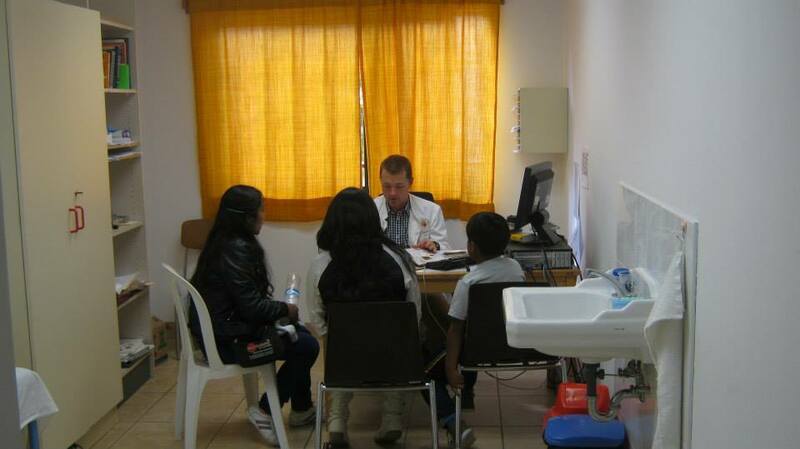 Since Diospi Suyana’s presence in Curahuasi through the kids clubs, the hospital, and the school, the behavior of the residents in relation to their alcohol consumption has changed significantly. The children attending the kids clubs often tell their parents what they have learned about alcohol. Even local politicians tell of this positive development through the work of Diospi Suyana. In the end, almost everyone benefits. However, the liquor dealers earn less and probably dislike the work being done by Diospi Suyana. 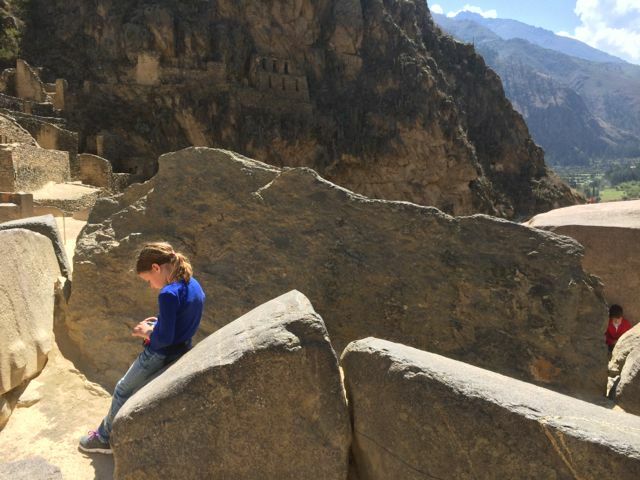 Our friend Nolan has a really good post on their blog Wrights in Peru about how he is helping a young cystic fibrosis patient as she struggles with the complications of her disease. The past week I’ve been treating a little girl with cystic fibrosis. Before coming to Peru, I had never seen a patient with this condition (basically all my experience has been in outpatient orthopedics). 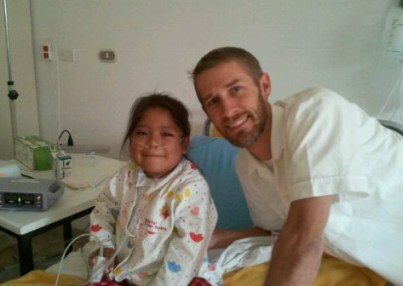 She came to the hospital about 2 weeks ago from Cusco with difficulty breathing, fever, etc. and was quickly admitted to the ICU. She was found to also have pneumonia. I first saw her in the ICU about a week ago. She had a drainage tube coming from the right side of her chest and had labored breathing. I was asked to do some chest physical therapy to help with drainage in her lungs. The treatment was a bit limited due to her pain and decreased mobility from the chest tube, however we got through the first treatment. Read more on their blog at the link. Look up and see the glory! Can you find the hidden Peter? A note from David regarding his average school day. Parental comments will be italicized to add clarification. 6:15 AM Get woken up by Dad. 6:30 AM Finally get out of bed. 6:30 – 7:00 Take time eating my breakfast. 7:00 – 7:25 Get ready for school. 7:46 Stand over the balcony outside my classroom waiting for other students and watching everybody enter the school courtyard. 8:15 The teacher starts to dictate after checking the homework. Dictation is when the teacher speaks slowly so the class can copy every word he says. In the Peruvian education copying and dictation are very important. I don’t like it a bit, because it gets old writing words down and some of them I don’t even know what they mean. 8:30 Benjamin, the only other gringo in the class gets bored and starts to become reckless. David thought it would be funny to try and get Benjamin in trouble in this blog. He is exaggerating and laughing while he talks about Benjamin. I write this note so no one will misunderstand and think Benjamin is trouble. He one of David’s best friends, and he is a blessing to all our family. We enjoy having him around very much. 8:31 The teacher leaves the class. Chaos breaks out! And Benjamin has to be a part of it. Again, David is laughing about Benjamin. 8:33 Danna, the police of the class, goes around hitting people with the ruler even though she is only a student. Corporal punishment is common in the schools in Peru. It is not allowed in our school, but that does not stop the kids from inflicting it on one another. Every class has a policia, and they are trying to keep the kids in control. These are self-appointed positions, almost always girls. The Peruvian culture is very authoritarian, and people like to boss each other around. We watch people yell and argue and demand from one another all the time. It starts at a very young age. 9:15 Recess. People pile over each other as they leave the classroom. 9:30 Back in class. The second class is mostly the same, except for the new teacher who will now teach us a grammar subject. Victor taught religion. 11:00 Second recess. But after we hear the trumpet (we don’t have a bell, the music teacher Jorge plays a trumpet to mark the classes) we enter the English speakers classroom. (This is the classroom that Mom uses to teach American subjects.) The American kids go to the English speakers classroom during subjects that they are not going to learn at the school. Examples of subjects they do not do at school are Quechua and English. 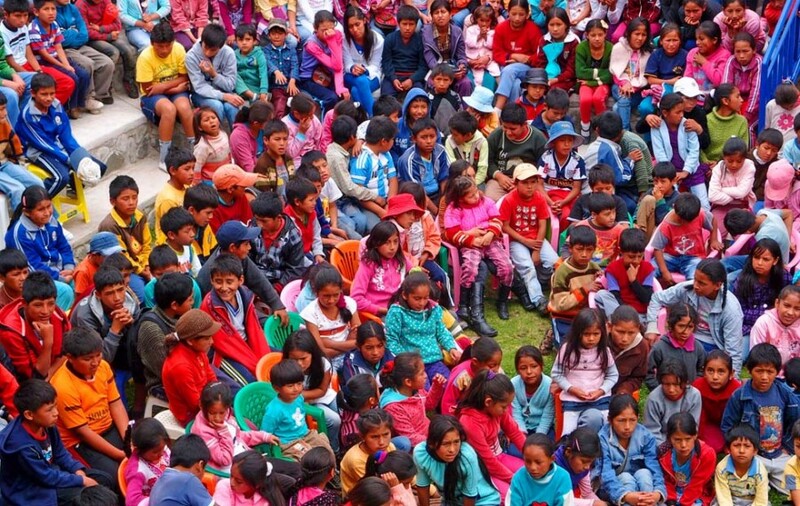 It would be great if they could learn Quechua, but it is almost impossible for the older kids because it is completely in Quechua; translations are in Spanish so often they do not even understand the definitions of the words they receive. Also, Allison and I cannot help them in any way, so they have been excused from this class with the exception of Sarah. 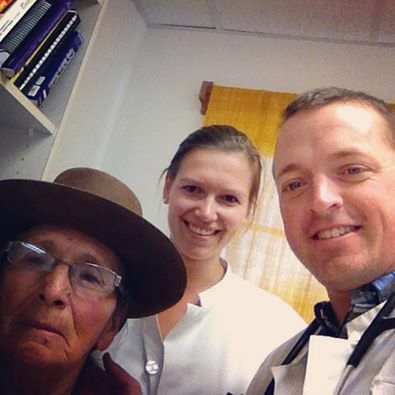 Sarah is learning Quechua as well as spanish. The advantage of being young when exposed to a new language are obvious in our house. 11:05 John Paul and Peter (John Paul is another American) are also in the classroom to escape Quechua class. And we also escape easy and rather boring English class. 11:05 Peter and I start to pull out books. 11:10 Benjamin gets to his second level of boredom and starts to draw. Tip . . . there is not a teacher in this classroom. 11:30 Benjamin becomes extremely bored and he and John Paul begin to think of their own loud activities. 12:50 PM School is out and we are all very glad. 1:00 PM Mom shows up in the classroom with a lunch. Allison teaches a class for the English speakers focused on English grammar, American and world history, and english literature. 1:05 PM Most of the class is present, including one Peruvian and one Peruvian-American, Obed and Omar. 1:25 Mom starts circle time. Circle time is a time when we sit in a circle of chairs. First you can share about your day. Then you listen to a few stories that Mom reads including but not limited to the Bible and chapter books that she reads a chapter out of every day. 1:25 – 2:00 People tilt their chairs back and some lean them on the wall, but our schools chairs are very modern and have weights in the front to keep them from leaning. So typically you have to lean them back very far for them not to tip foreword. 3:00 Mom’s class is over. 3:00 – 5:00 Long, tiring practice band practice. Sarah has marching. We are practicing for the Peruvian Independence because Peruvians are very patriotic and march on many special occasions. First, I get my instrument out. I am playing a drum. The beat starts out with one big pound, and then has three smaller pounds. And then repeats itself three times, and after that you will have three large beats. Peter is playing the trumpet which plays every four beats. Annie plays the lyre which she also plays every two beats, but complains about hurting her when she holds it. This was written when the kids were still preparing for the Peru Independence Day parade. Now they come home during that time and poor David usually has 2 hours of homework. This is the pain of homework in a second language. 5:00 Everybody shouts “Viva Peru!” The kids repeat “Viva!” And everybody is free to go. 5:30 We arrive home exhausted. We might do homework if there is time. We might play video games until 6:00. 7:00-8:30 We finish the dishes and prepare for bed. 8:30 I might read for 20 minutes, and then I will go to sleep. These pictures are from the Hospital Diospi Suyana blog.